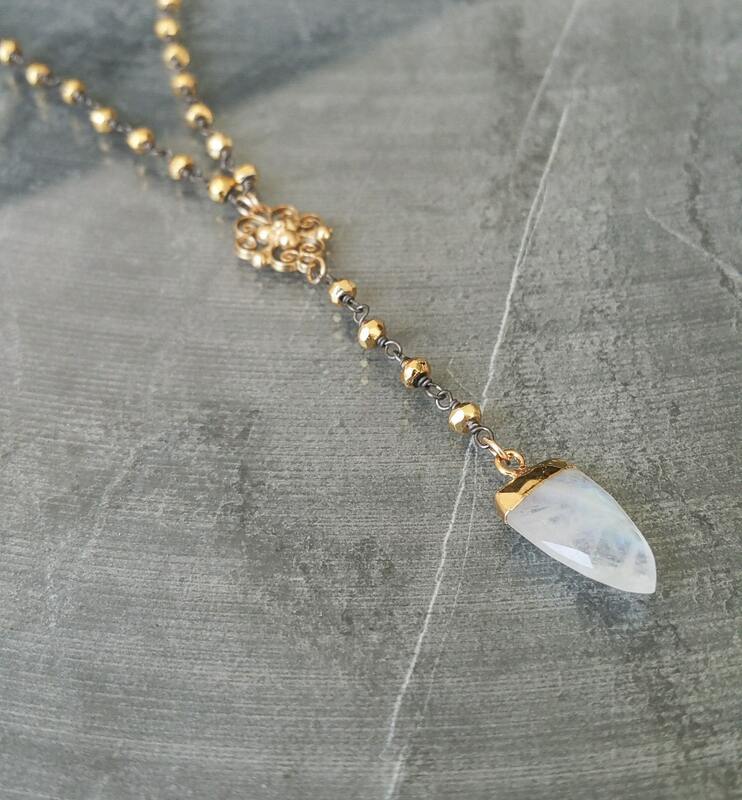 This wonderful gold plated moonstone arrowhead dangles from a oxidized sterling silver gold pyrite chain. A beautiful vermeil link forms the Y. I finished the necklace with a gold filled lobster claw clasp and findings. 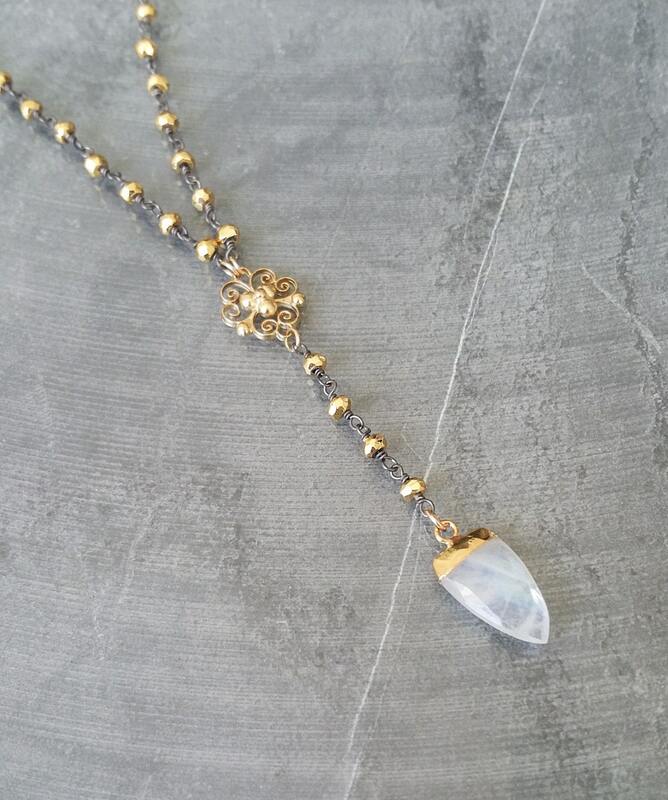 I love all the texture in this necklace. 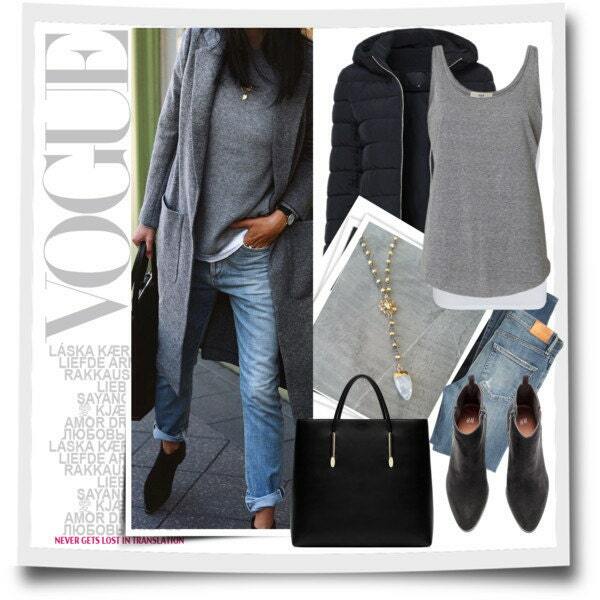 It's perfect worn on it's own and fun layered with other necklaces. 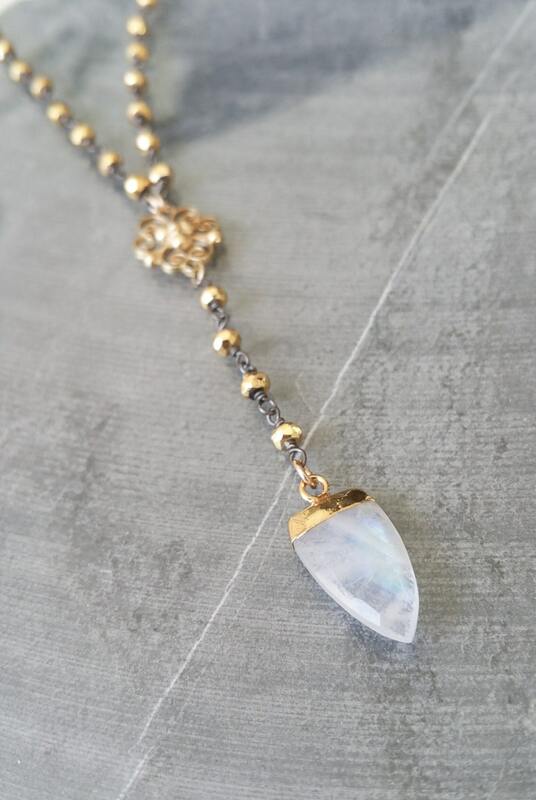 The necklace measures approx 16" from end to end to the charm and then drops approx another approx 2.75" including the moonstone arrowhead. 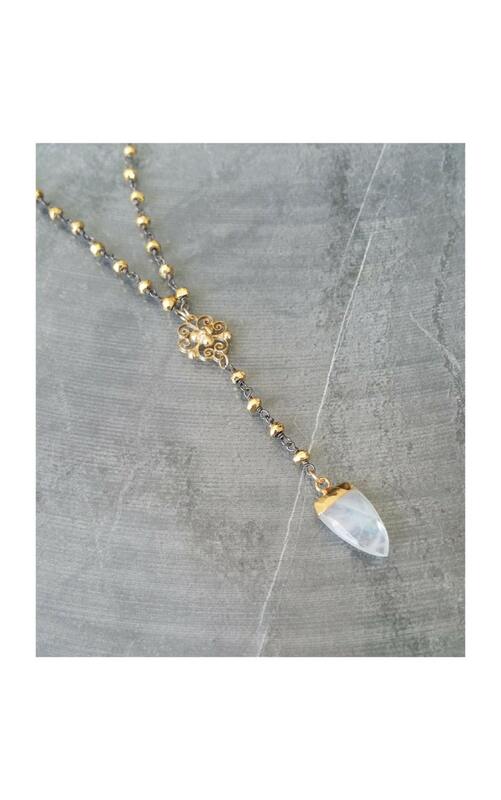 The moonstone arrowhead is approx is 18x10mm. Exactly as described, a very pretty piece. Excellent communication. Fast shipping.